Arsenal to swoop for Aldeiweireld? The Belgium international has been in a contract standoff with Spurs over the past 18 months, and this has led to speculation that he could be sold when he enters the final year of his deal in the summer. According to The Sun, the Gunners have joined the likes of Manchester United in the player's pursuit after knowing that they can lure him for a relatively cheap price. Alderweireld current deal with Spurs has a £25m release clause which can be triggered during the final 14 days of the summer transfer window, and this seems to have caught the Gunners' eye. Still, Spurs are likely to resist the prospect of selling to a direct league rival in the summer and reports have indicated that they could give priority to offers from overseas clubs. 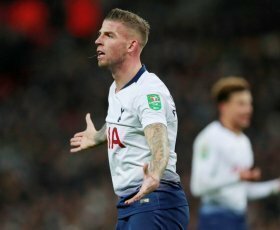 The north London side are still in discussions with Alderweireld over a probable extension, but they are reluctant to match the defender's demands for a £200,000-a-week contract.